Former astronaut and long-duration spaceflight pioneer Owen Garriott, 88, died today, April 15, at his home in Huntsville, Alabama. 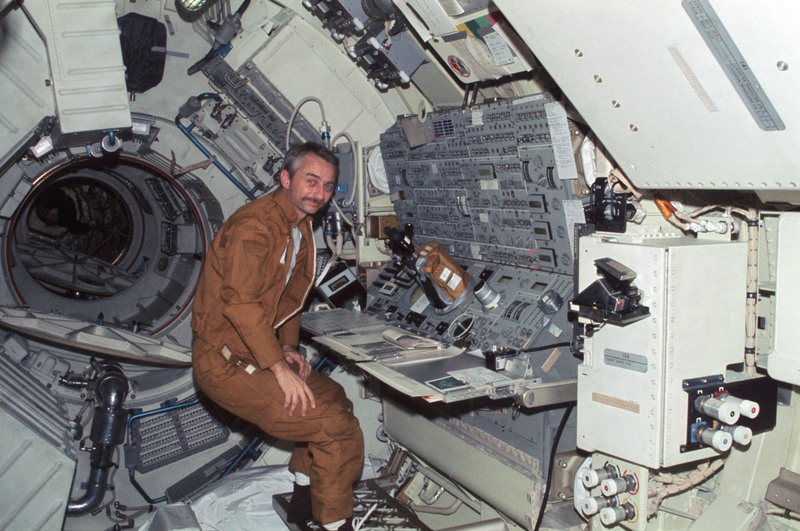 Garriott flew aboard the Skylab space station during the Skylab 3 mission and on the Space Shuttle Columbia for the STS-9/Spacelab-1 mission. He spent a total of 70 days in space. That call could be the start of a conversation between a licensed amateur radio operator on the ground and an astronaut aboard the International Space Station. But the contact would only be possible for up to 10 minutes of the station’s orbit as it whizzed 250 miles overhead at 17,500 mph. The northern lights just got a boost thanks to a big hole in the sun’s atmosphere, and there could be something of a repeat showing tonight. Two tiny satellites that just launched on a historic mission to Mars have phoned home for the first time. The Mars Cube One duo, officially known as MarCO-A and MarCO-B, lifted off early Saturday morning (May 5), rising into skies above California’s Vandenberg Air Force Base along with NASA’s InSight Mars lander. They are the first cubesats ever launched to another planet. An artist’s illustration of the twin Mars Cube One (MarCO) spacecraft deep space. The MarCOs are the first cubesats attempting to fly to another planet. But the main purpose of the $18.5 million MarCO mission is to show that cubesats, which to date have been restricted to Earth orbit, can explore interplanetary space. MarCO-A and MarCO-B are demonstrating a number of cubesat technologies during their nearly 7-month cruise to Mars, including a folding high-gain antenna and a cold-gas propulsion system. This gas is compressed R236FA, which is commonly found in fire extinguishers. For this reason, the mission team have dubbed the cubesats Wall-E and Eva, two robots from the 2008 Pixar film “Wall-E.” In the movie, the trash-compacting robot Wall-E flies around space using a fire extinguisher for propulsion. The MarCO mission will come to an end shortly after the cubesats’ planned Mars flyby, mission scientists have said. The main purpose of Saturday’s launch, which involved a United Launch Alliance Atlas V rocket, was to get InSight on its way to Mars. The lander will probe the interior structure and dynamics of Mars, using a supersensitive seismometer and a heat probe, which will hammer itself up to 16 feet (4.9 meters) beneath the planet’s surface. Mission scientists will also note tiny wobbles in Mars’ axis of rotation by tracking InSight’s location precisely. This information will reveal insights about the planet’s core, NASA officials have said. JPL built the MarCO spacecraft. InSight — which is short for Interior Exploration using Seismic Investigations, Geodesy and Heat Transport — was built by aerospace company Lockheed Martin. ARISS Russia is planning a special Slow Scan Television (SSTV) event from the International Space Station in celebration of Cosmonautics Day. The transmissions began on April 11 at 11:30 UTC and run through April 14 ending at 18:20 UTC. When the ISS is nearly overhead, an HT should pickup the transmission. Just angle the radio a bit. Visit the N2YO.com website to review 10 day predictions (A blue button on the right side). Please note that you will want to choose “all passes” as they initially list only visible ones. Review images that others have already captured for this event. Out of billions of stars in the Milky Way galaxy, there’s one in particular, orbiting 25,000 light-years from the galactic core, that affects Earth day by day, moment by moment. That star, of course, is the sun.While the sun’s activity cycle has been tracked for about two and a half centuries, the use of space-based telescopes offers a new and unique perspective of our nearest star. China’s Tiangong-1 space station is set to make an uncontrolled reentry into the Earth’s atmosphere on or around April 1. The update from the Aerospace Corporation, which is tracking the abandoned orbital laboratory, predicts that it will make its final plunge at 00:00 GMT on April 1 with a margin of error of ±36 hours, when it will burn up somewhere between 43° North and 43° South latitudes. A huge solar storm is heading for Earth, and it’s likely to hit tomorrow. The storm could knockout satellites, disrupt power supplies and spark stunning displays of the Northern Lights. It was created last week by an enormous explosion in the sun’s atmosphere known as a solar flare, and charged particles from that flare are now on their way to our planet. 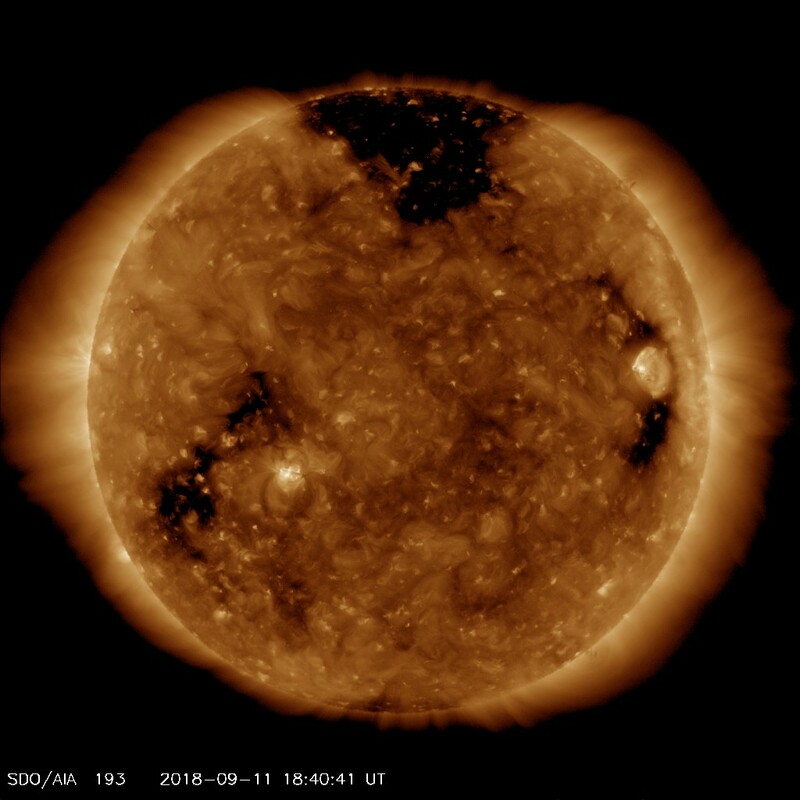 The arrival of the solar storm coincides with the formation of ‘equinox cracks’ in Earth’s magnetic field, which some scientists believe form around the equinoxes on March 20 and September 23 each year. These cracks weaken our planet’s natural protection against charged particles and could leave commercial flights and GPS systems exposed to the incoming storm. The cracks also mean stargazers are more likely to catch glimpses of the Northern lights this week. First, the bad news for stargazers: Auroras are going dark in many parts of the world. The number of these atmospheric light shows won’t bottom out for several years, which means locations far from Earth’s poles — such as the UK and northern continental US — may rarely if ever see the Northern Lights during that time. 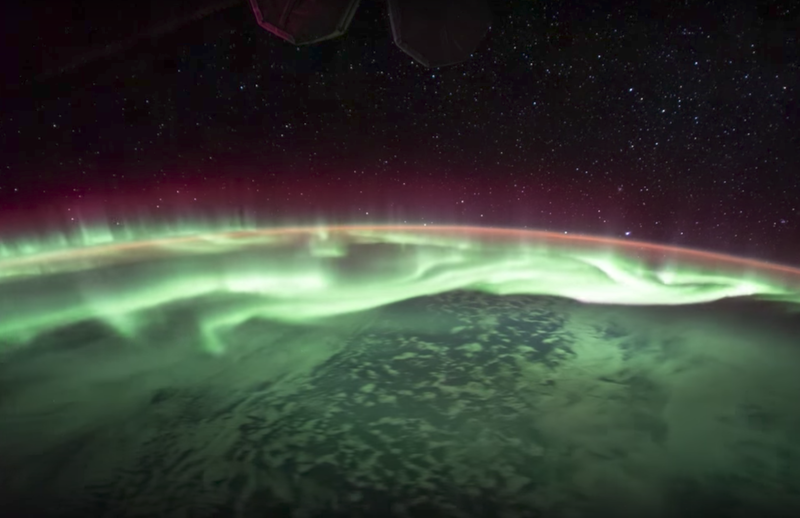 A study published earlier this year hints this dearth of auroras may last for decades. But there’s plenty of good news.